Information Technology is a great field. With technology advancing at the speed of sound, there is never a period when IT becomes boring, or hits an intellectual wall. New devices, new software, more network bandwidth, and new opportunities to make all this technology do great things for our professional and private lives. Or, it becomes a frightening professional and intellectual cyclone which threatens to make our jobs obsolete, or diluted due to business units accessing IT resources via a web page and credit card, bypassing the IT department entirely. One of the biggest challenges IT managers have traditionally encountered is the need for providing both process, as well as utility to end users and supported departments or divisions within the organization. It is easy to get tied down in a virtual mountain of spreadsheets, trouble tickets, and unhappy users while innovation races past. In reality, the technology component of IT is the easy part. If, for example, I decide that it is cost-effective to transition the entire organization to a Software as a Service (SaaS) application such as MS 365, it is a pretty easy business case to bring to management. But more questions arise, such as does MS 365 give business users within the organization sufficient utility, and creative tools, to help solve business challenges and opportunities, or is it simply a new and cool application (in the opinion of the IT guys…) that IT guys find interesting? Bridging the gap between old IT and the new world does not have to be too daunting. The first step is simply understanding and accepting the fact internal data center are going away in favor of virtualized cloud-enabled infrastructure. 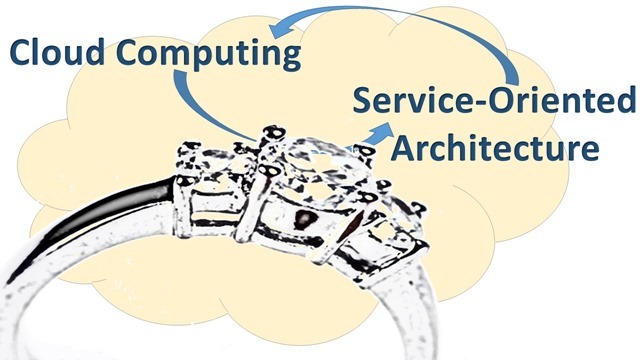 In the long term Software as a Service and Platform as a Service-enabled information, communication, and service utilities will begin to eliminate even the most compelling justifications for physical or virtual servers. End user devices become mobile, with the only real requirement being a high definition display, input device, and high speed network connection (not this does not rely on “Internet” connections). Applications and other information and decision support resources are accessed someplace in the “cloud,” relieving the user from the burden of device applications and storage. If we consider disciplines such as TOGAF (The open Group Architecture Framework), ITIL (Service Delivery and Management Framework), or COBIT (Governance and Holistic Organizational Enablement), a common theme emerges for IT groups. If we consider the potential of systems integration, interoperability, and exploitation of large data (or “big data”) within organization’s, and externally among trading partners, governments, and others, the need for IT managers and professionals to graduate from the device world to the true information management world becomes a great career and future opportunity. But this requires IT professionals to reconsider those skills and training needed to fully become a business team member and contributor to an organization’s strategic vision for the future. Those skills include enterprise architecture, governance modeling, data analytics, and a view of standards and interoperability of data. The value of a network routing certification, data center facility manager, or software installer will edge towards near zero within a few short years. Harsh, but true. Think of the engineers who specialized in digital telephone switches in the 1990s and early 2000s. They are all gone. Either retrained, repurposed, or unemployed. The same future is hovering on the IT manager’s horizon. So the call to action is simple. 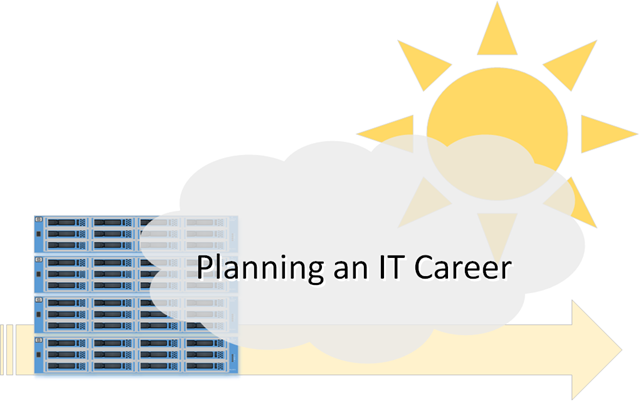 If you are a mid-career IT professional, or new IT professional just entering the job market, prepare yourself for a new age of IT. Try to distance yourself from being stuck in a device-driven career path, and look at engaging and preparing yourself for contributing to the organization’s ability to fully exploit information from a business perspective, an architectural perspective, and fully indulge in a rapidly evolving and changing information services world. Big data. There are few conversations in the IT community which do not start, address, or end on the topic. Some conversations are visionary in nature, some critical, and many considering the challenges we’ll need to overcome in the process of understanding how to deal with big data. Definitions of big data almost parallel the 3 V’s of big data, which are velocity, volume, and variety. We may call it a byproduct of massive data growth, cheap technology, and our ability to save everything. We may address the enormous volumes of data generated by social media, smart grids, and other online transactions. Enhanced decision-making? Insight discovery? Process optimization? Outstanding opportunities to enhance our decision support process. Just corral all the data available to us, and voila, we’re competitive on a global scale. One minor snag – we’ll need to recruit skilled technical and business staff with both the skills and business experience needed to effectively exploit the potential of big data, as well as establish value to business, government, and quality of life. In a well-quoted study by the McKinsey Global Institute (MGI), data is presented supporting the idea big data to ultimately become a key factor in competition, and competitiveness across all public and private sectors. The study also states that just in the United States we will have a shortfall of nearly 190,000 skilled professionals in deep analytics, coders, and mathematical abilities. The Australian Workspend Institute acknowledges there is a shortage of talent, and that shortage is getting worse. Stating that the Australian mining, oil, and gas industries have identified a shortfall of 100,000 skilled engineers, the “war for talent” is further running up the cost of labor for staff with deep analytical skills across-the-board. Boston company NewVantage Partners published the results of an executive survey of leading Fortune 1000 companies adding only 2% of those listed companies felt they had no challenges finding talent and skilled resources needed to understand and exploit big data. Is it really that important to be on top of big data? Perhaps crime? BBC Horizon’s aired a special on big data in early 2013, highlighting the efforts of Los Angeles Police Department’s (LAPD) use of big data and analytics in predicting crime. Collecting crime data from over 30 million records in LA, demographics, geospatial, and other historical data from both LA and around the world, LAPD uses analytics to predict down to 300sqft when and where a crime will likely occur. With uncanny, almost creepy results. Health information? Climate change? Mining? Earthquakes? Planets which may support human life? Given the amount of data available, data being created, and the ability of intelligent data scientists to create models of the data value, most believe those who can harvest big data will gain significant advantage. So what do we do, give up on big data and focus on other activities? The United States still holds a significant advantage, leading the world in individuals with skill and experience in deep analytics. According to the MGI the US, China, India, and Russia lead the world in gross numbers of capable data scientists, while Poland and Romania are graduating the highest numbers of students skilled in deep analytics. David Foote, Foote Partner’s Chief Research Officer writes that “many colleges and universities haven’t yet risen to the challenge of teaching the skills that are potentially needed for analytics jobs. Industry may be rising to the need, partnering with universities to form the National Consortium for Data Science (NCDS). According to a paper done by the University of North Carolina Kenan-Flagler Business School (UNC), the agenda for NCDS is to better align the university programs with the needs of private sector (and government). Educating themselves about big data. If the organization does not understand big data at an operational level, it is unlikely they will be able to recruit skilled data scientists who do understand the concept. 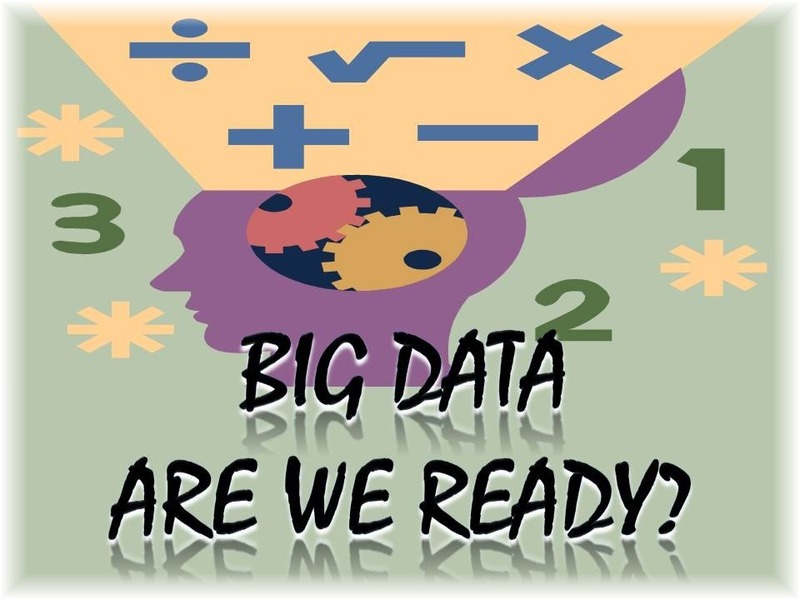 Educate managers and senior leaders about big data. Develop creative strategies to recruit and retain big data talent. Offer plans and solutions on how to build the talent in-house. NOTE: As a particularly positive note for Southern California readers, California State University – Long Beach (Long Beach State ) was identified in UNC’s report as one of the few schools in the world with a strong , focused deep data analytics program. While there is no immediate solution to the global shortfall in big data talent, we are finally awakening to the need. The academic community will need to consider, design, and implement curriculum and programs to acknowledge the need for graduates capable of dealing with big data. This means back to the basic of mathematics, statistics, analytics, and other disciplines which will graduate capable data scientists. The Internet, computers, and ability to collect data has changed our world, and created many difficult challenges in our ability to understand the opportunities. Time to step up to the challenge.